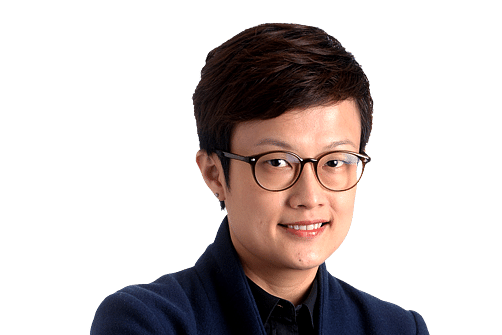 Singapore prides itself on being a leading global business hub, but in the area of female representation in corporate boardrooms, the country is falling way behind the curve. Little wonder that women's groups here - the PAP Women's Wing and BoardAgender, an initiative by the Singapore Council of Women's Organisations - stepped forward to lobby for greater gender diversity on boards last week. They are suggesting a target of at least 20 per cent female directors by 2020. That target is more than double the 9.7 per cent of board seats that women occupied as at June last year - a level inconsistent with the high number of women in senior management and professional roles. Singapore also trails many other developed economies in the area of gender diversity in corporate boards. Britain is way ahead, with 21.9 per cent female representation in boards of FTSE 350 firms as at October 2015, while women took 18.1 per cent of board seats in 500 of the largest firms listed on the Australian Securities Exchange as at last June, a Diversity Action Committee report showed. Gender is but one aspect of diversity, but it is no less vital. Adding more women to boards brings different views and helps enhance the decision- making process. A gender-diverse board is in all likelihood better able to understand the needs and perspectives of its female employees and customers. Board diversity is not a gender issue, but a business and governance issue; it is about implementing a robust process to draw on all possible resources to find the best talent. Having diverse boards in terms of gender, skills and knowledge invariably leads to more comprehensive discussions and avoids the concern about "groupthink". Setting a target for gender diversity on boards is a good first step, which will hopefully serve as a catalyst to shattering that glass ceiling. But diversity hires should not be for the sake of tokenism. Corporates should actively grow their executive pipeline of female talent for board roles, re-examine family-friendly policies and cast the net wider in the search for board appointees.